Have fun with our Fathers Day Promotion! To celebrate the amazing men we call dads we want you to take a selfie of yourself with your dad and post it as a comment on the Pinned post on our Facebook page (click here). 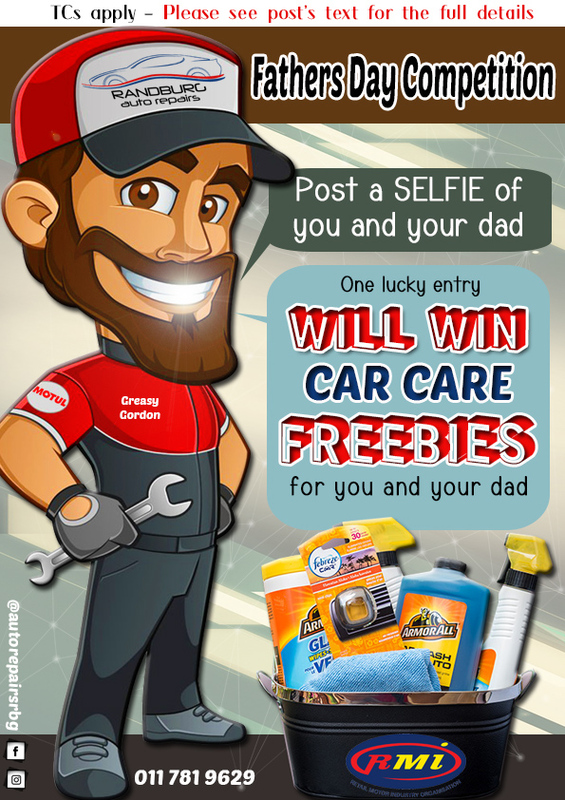 One lucky entry will win CAR CARE FREEBIES for you and your dad. How easy and cool is that? TCs: Picture must be posted in the comments section of the pinned post on our Facebook page / or use the hashtag #RARFathers on Facebook, Instagram or Twitter ONLY | Only pictures posted between 1 May – 17 June 2019 will be eligible to win | Winner will be selected at random and the judge’s decision is final | Winner will be notified via the social media platform entered on before the end of June | Freebies may vary | Prize to be redeemed on-site at our workshop.